I knew when I was accepted at BGSU that I wanted to be a part of the Falcon Marching Band. This ended up being the best decision I made about my college career so far. When freshmen come to campus, it’s a lot to think about and get ready for – a whole new chapter of your life is starting! On top of that, you will know next to nobody and be expected to make a whole new group of friends, something that came effortlessly through 13 years of schooling with the same people. FMB made it so that I didn’t have to worry about making friends – getting to campus a week early and working on marching and playing fundamentals for 12 hours a day brings you close to your section members and fellow band members. By the end of the week, there are so many newly forged friendships, and not just with other freshmen – with the upperclass veterans, too! It also forces you to have fun and physical activity for at least two hours every day, which is a great thing for college students. 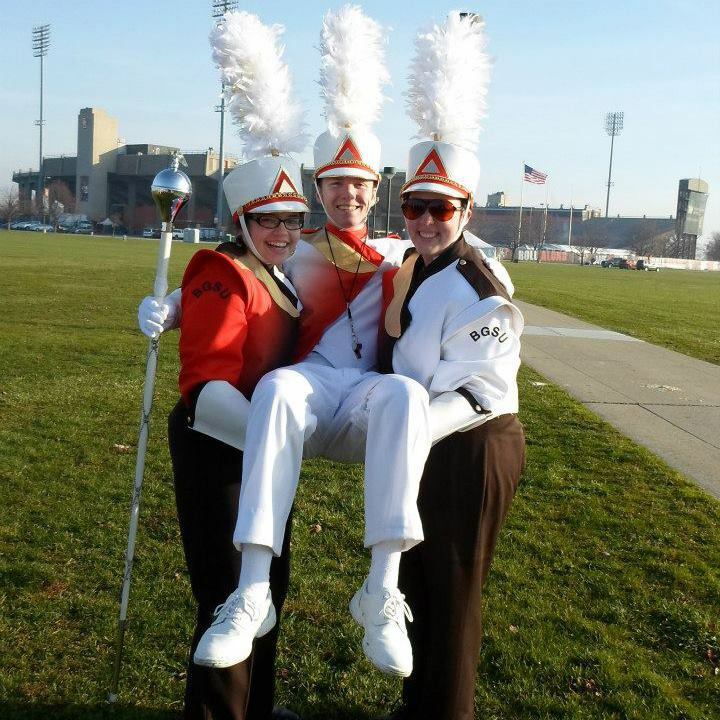 A lot of people think that you have to be a music major or minor to be involved in a college marching band – that’s wrong, at least at BGSU! Anyone can participate in FMB, and all are encouraged to audition; there are lots of majors represented, and every college on campus is represented! We as a band have been able to take trips with the football team to Toledo, Columbus and to the Military Bowl in Washington,D.C. The Falcon Marching Band was my greatest resource for friendship and comfort my freshmen year. Still to this day, the friendships I’ve made and the support from all the people are irreplaceable. If you’re considering FMB, give it a shot! If you’re already registered and ready to go, I’ll see you during Fundamentals Week!